Jennifer Chu, MS, PT, WCS created ITR Physical Therapy in 2001 because she believed that each patient deserves to be treated in a caring and supportive environment while receiving quality one on one care and rehabilitation. Jennifer and her staff at ITR come together with the same philosophy- that you deserve the best holistic approach to your health and wellness. ITR’s staff emphasizes open communication between you, your physical therapist and your physician with a special understanding of the issues affecting women’s and men’s health with a manual therapy approach. ITR has made a strong commitment to continuing education and the exploration of the industry’s newest healing approaches. Each physical therapist is dedicated to continually seek educational opportunities and technological advances in this field to better serve your healthcare needs. Each treatment session lasts approximately an hour where you will receive the specialized treatment, personal attention and education needed to maximize your function, health and wellness. It is ITR’s goal to assist you in every step of your recovery process—supporting your return to a full healthy life. Find a location near you today! Please Like or Follow us on your favorite social media! Jennifer Chu, MS, PT, WCS is one of the countries first Board Certified Women’s Health Specialists. She has been a physical therapist since 1997 when she started her career working with musculoskeletal injuries in an outpatient orthopedic clinic. It was here that Jennifer began her specialty in women’s health. In 2001 she opened ITR Physical Therapy in order to create an environment where patients would receive the individualized, quality and manual care that she believes each patient deserves. Jennifer has spoken nationally at the American Physical Therapy Association’s Annual Conference and Exposition and has sat on the Board of Directors as the Director of Communication for the APTA’s Section on Women’s Health. 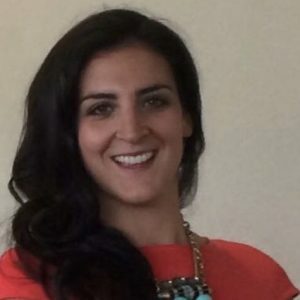 She has participated in clinical research regarding myofascial soft tissue release techniques for painful bladder syndrome and painful C section scars. She is committed to teaching and empowering women and men with pelvic floor dysfunctions how to help themselves. When not working, Jennifer treasures being the mother of two amazing little girls, practicing yoga, meditation and spending time with her friends and family. Allie began her career as a Woman’s Health Physical Therapist at an outpatient clinic in Maryland immediately after graduation. While there she gained specialized experience in the treatment of pelvic floor dysfunction. She has taken advanced courses in Women’s and Men’s Health issues, pregnancy and post-partum pain and in the osteopathic technique, visceral manipulation, through the Barral Institute. 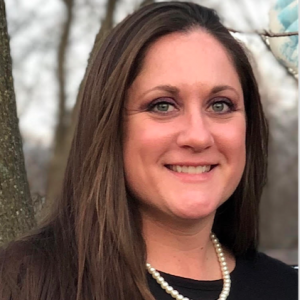 Most recently Allie has gone through advanced training in pediatric bowel and bladder dysfunction and is passionate about helping children and their families gain their lives back. She is the head of the pediatric program here at ITR. Allie focuses on individualized treatment sessions for each patient and brings a holistic, multifaceted approach to facilitate whole body healing. She prides herself on being up to date on current research, pursuing continuing education and helping to bring awareness about Women’s Health care to the community. Allie lives in Falls Church with her husband, their two children and their dog Palmer. When not at work she enjoys spending time with her family, the beach and a good cup of coffee. Lauren began her career in geriatrics working in skilled nursing and assisted living facilities. After 2 years, Lauren wanted some more adventure in her life and she began traveling PT where she gained experience working throughout the country in NJ, MA, CA, MD, and DC. As she traveled and learned more and more about herself and her career choice, she stumbled upon something new – pelvic floor PT. She became interested in this area in 2010 and decided make a big change from geriatrics into the world of pelvic floor. Lauren found her true passion in pelvic health, treating women and men with complex pelvic issues for all ages. She has taken multiple levels of education in this area through Herman and Wallace. She furthered her education at Michigan State University School of Osteopathic Medicine learning muscle energy techniques for the spine and visceral mobilization through the Barral Institute and Herman and Wallace. She has since added to her repertoire with yoga, finishing her 200 hour teacher training, as well as starting training through the Professional Yoga Therapy Institute to become a Professional Yoga Therapist. She has found so much enjoyment in combining yoga with PT and is excited to continue to build on this. She believes in integrated medicine to combine all facets of her patients’ lives – physical, psycho-social emotional, spiritual, intellectual, and energetic. She feels truly grateful to have found a way to combine her 2 passions, yoga and pelvic PT, and to be able to share this with her patients. In her spare time Lauren enjoys spending time with her husband and 3 step-children as well as practicing yoga and going for long walks outside. Tina began her career in orthopedics and sports medicine in 1981, which has included working with professional sports teams and professional dancers. In addition, she works with geriatrics in home health and with pediatrics within the school system. After experiencing pelvic floor issues herself, she began studying the causes and treatment of pelvic floor dysfunction. This led to a passion of continued study and treatment of Women’s and Men’s Health. She continues to take a variety of courses to further advance her diagnostic and treatment techniques, offering an evidence-based practice. Tina incorporates a variety of treatment techniques, including manual therapy, therapeutic and functional exercise, relaxation training, and education in body mechanics and posture. She feels the key to a successful treatment and outcome is to listen to the patient and provide a holistic approach. Ellicia started her career as a pelvic health and orthopedic physical therapist at an outpatient clinic in Virginia. Within the first year of practicing she also received her certificate in lymphatic therapy from the Academy of Lymphatic Studies and began working with lymphedema, oncology, and pelvic congestion populations. Throughout the years her passion for pelvic health and pelvic floor dysfunction has continued to grow and remains the focus of her post-graduate coursework. 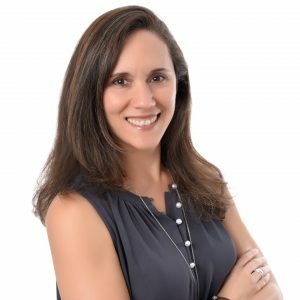 Ellicia has taken advanced courses in women’s and men’s pelvic health, visceral manipulation, myofascial release, and dynamic neuromuscular stabilization. 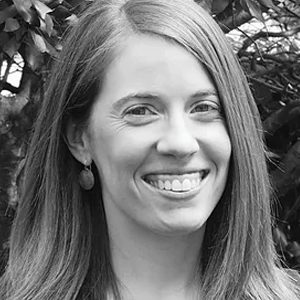 Taking a holistic approach, Ellicia’s work is grounded in empowering people to aid in the healing of both their mind and body throughout their time in physical therapy. Ellicia has spent most of her life traveling across the U.S. and abroad. 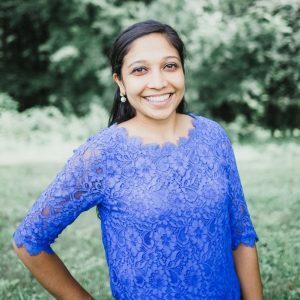 Currently she resides in Arlington, VA.
Alice Rajakumar is a Registered Dietitian, ACE Certified Health Coach. She completed her Dietetic Internship at Johns Hopkins Hospital and then began her career there as a cross coverage Dietitian and was part of a multi-disciplinary team to evaluate patients in the Renal Transplant clinic. Over the last five years, Alice has been providing telephonic nutrition coaching to members of Optum Health. 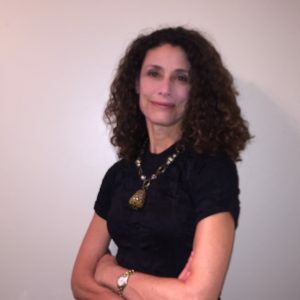 She has worked with many teams and has been honing her skills on Motivational Interviewing and being more productive in the field of virtual counseling. 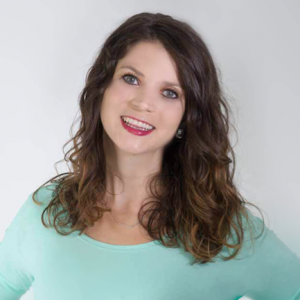 She has taken advanced classes in functional nutrition and is excited to help clients from a holistic approach to fine tune one’s diet to fit into their lifestyle. In her free time, Alice enjoys working out, cooking and spending time with her husband and two cats in Altoona, Pennsylvania. Charissa began her PT career in outpatient orthopedics in a busy New York City clinic where she worked with athletes and weekend warriors for the first 3 years of her career. Delving into women’s and men’s health physical therapy, she found her passion in the field of PT. Her continuing education courses taken through the Institute of Physical Art include visceral mobilization, Pilates for the pelvic floor. At Herman & Wallace she took levels 1-3 of pelvic floor courses where she has been honing her skills to best serve this unique population. She has enjoyed treating men and women from age 15-100. Her favorite part of working with pelvic floor patients is seeing their quality of life improve. With her outpatient orthopedic background in addition to having been a lifelong athlete herself (basketball, track, cross country, sprint triathlons) Charissa enjoys a well rounded treatment style of both hands on manual therapy and exercise. She is a firm believer in treating the whole patient: mind and body. 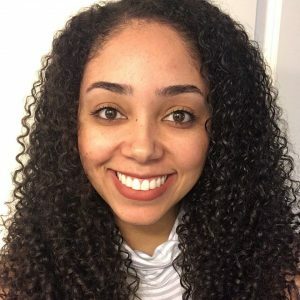 Charissa relocated to Silver Spring from New York City with her husband Alex and their cat Kate (Middleton) and dog Champ (Champagne) in the fall of 2018. She loves to travel and practice Bikram Yoga. She intends to get certified in Pilates and take the pelvic floor specialist exam now that she’s settled into her new home. Tiffany is our office manager at ITR Physical Therapy. She joined our team in March 2019 after spending 19 years in the dental field where she was a receptionist and dental assistant. She is happy to assist our current and future patients with all of their scheduling needs or any questions they may have. In her spare time, she enjoys cooking, shopping, and spending time with her husband Eric and mastiff Bella. I am so thankful for her keen insight and intuition. Jen was a God-send and exactly who I needed to see at this time in my life. Jen has been a lifesaver for me. I began seeing her for pelvic floor dysfunction. At that time, I had seen numerous doctors and physical therapists without success, and I had given up on getting better. I reluctantly saw Jen at the insistence of my doctor, and I’m so glad I did.